Wow. It’s time to say goodbye to December and goodbye to another year. This makes me all kinds of nostalgic! There’s just something bright about a year beginning in all its possibility and newness. But first, I’m taking one last look at 2017 and the month of December with the usual rundown and some fun yearly favorites. New on the bookshelf this December: One Christmas in Winter by Bell Renshaw, Desert Duet by Debra E. Marvin, A Log Cabin Christmas Collection by various authors, The Saturday Night Supper Club by Carla Laureano, A Sweethaven Christmas by Courtney Walsh, A Song Unheard by Roseanna M. White, Troubled Waters by Susan May Warren, Bespoke: A Tiny Christmas Tale by Amanda Dykes, and both A Season to Love and A New Shade of Summer by Nicole Deese. Murder on the Orient Express was a cinematic masterpiece. The costumes, cinematography, script, and even the little moments I found humorous all work to portray the era and gripping story line perfectly. The Lady Eve — sometimes a little silly, this is still the classic era of film at its best. Barbara Stanwycke is as glamorous as ever, and Henry Fonda plays the rare comedic relief piece as his world is turned upside down by “Eve” and her schemes. My favorite scene involves HIS father looking for his breakfast! So many best-of book lists! Kara, Rissi, Becky, and Beth‘s to name a few. THE INSPYs ARE OPEN! Check out Rel’s post with all the details. 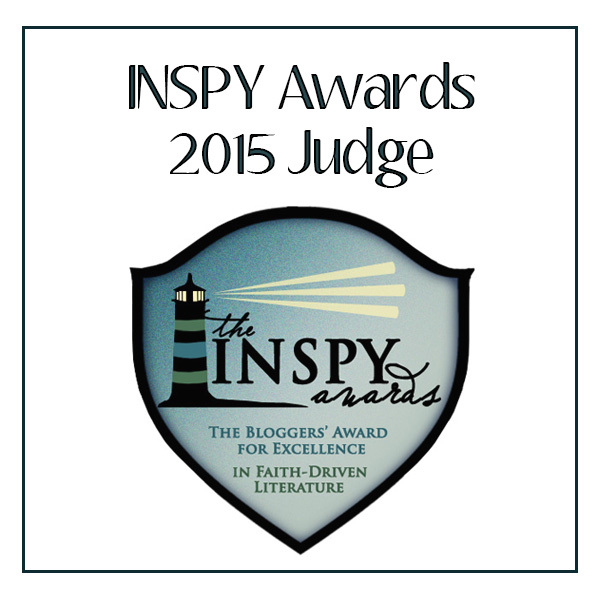 The INSPYs are annual blogger/reader nominated-and-judged inspirational fiction awards, given in several categories. Go vote for your favorite books now! And, I’ll be eagerly awaiting the next SSD installment in February, as just announced here. Signed, Sealed, Delivered: The Road Less Traveled. The steady story and character development of these movies is always my fav! September was a busy blogging month! I honestly don’t know how that worked out — most of the month was a blur. BUT, we did get to welcome fall (my favorite season) and barely start to feel the cooler days in my neck of the woods. Oh my, I’m turning into a book hoarder. My mother would agree. New titles on the shelves, both virtual and paperback, include the “Targeted for Danger” ebook novella collection, The Last Summer by Brandy Bruce, Chasing Haven by Rachel Fallin… and for upcoming review Crown of Souls by Ronie Kendig, All This Time by Melissa Tagg, Hometown Girl by Courtney Walsh, Too Far Down by Mary Connealy, The Secret Life of Sarah Hollenbeck by Bethany Turner, The House on Foster Hill by Jaime Jo Wright, Returning Home by Toni Shiloh, and Impossible Saints by Clarissa Harwood. I tried this fresh raspberry pie recipe from PBS Food (yes, them again. They just post some good recipes!). It was light and fun and soooo good. I’m also having fun with a new Christmas cookie cookbook…. more on that, and a review, soon. I admit it, I’ve never read an Agatha Christie book OR seen any adaptations (that I know of). So, I watched the “classic” Murder on the Orient Express from 1974 because the new one looks just so darn good. I admit, I didn’t see some of the twists coming! It has a 1970s drama flair to it that I will be anxious to compare with the new one. Of course, I watched the new Signed, Sealed, Delivered: Home Again Hallmark production (shoutout to the #POstables fans!!!). I’ve been following this saga for most of its duration, happily rooting for the characters, friendships, and (finally) romance of the series. This latest made me happy, once again! I really, really appreciate how the ongoing relationships have steadily grown in complexity and depth over several installments — and not just with the 4 main characters, but with the extended family dynamic and other characters. Also, I LOVE how the series refocuses on a fresh storyline yet frequently retains a thread of patriotism and honors historical events. Exciting covers were revealed this month for two 2018 releases: Rachel McMillan’s upcoming Murder at the Flamingo AND Joanne Bischof’s Sons of Blackbird Mountain! Both are gorgeous and creative and exquisite. 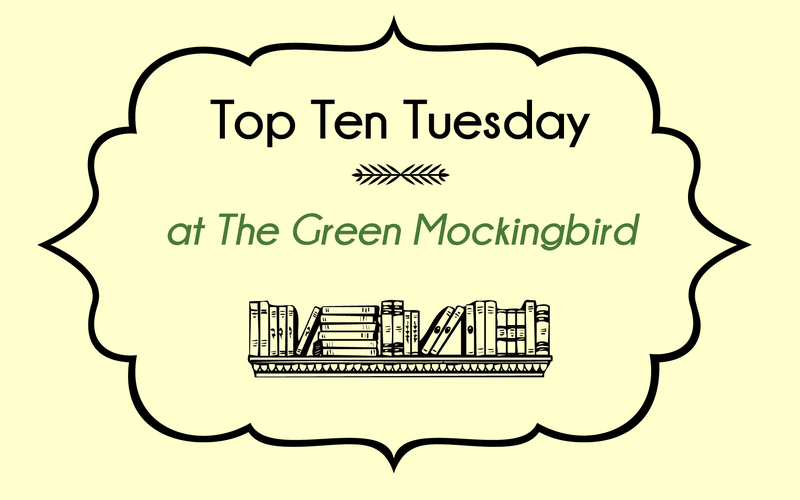 Bethany House’s blog post featuring Five Bookish Mysteries to Solve is witty and fun! YOUR TURN! How was September for you? Did you accomplish that “to-do” list or do anything exciting? It’s the end of JULY already! Wow, the summer has flown by! I would love to hear how your summer is going or what you’ve been reading lately in the comments. As always, thank you for taking the time to stop by my blog. 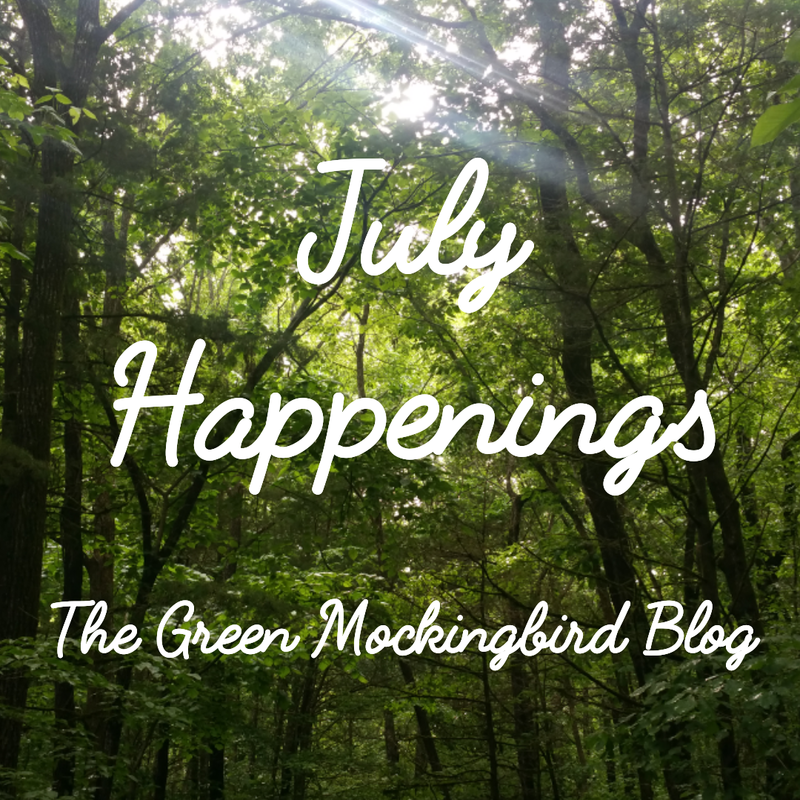 July was a fun month for book gathering! Someone needs to stop me from clicking on the “purchase” and “request for review” buttons all. the. time. Or, someone could just lock me in a cabin with food and my TBR and I might make a dent after a few weeks….. The bookshelves gained these titles: A Matter of Trust by Susan May Warren, Many Sparrows by Lori Benton, His Steadfast Love by Julie Lessman, Not by Sight by Kate Breslin, Just Look Up by Courtney Walsh, A Name Unknown by Roseanna M. White, Where the Light Falls by Allison Pataki and Owen Pataki, and finally a physical copy of Five Days in Skye by Carla Laureano. I altered this PBS food recipe for dairy-free spinach stuffed shells. Thanks to a cow dairy allergy, it caught my attention, though I did alter it by using ricotta made from almonds and a little sheep cheese. It’s highly recommended! Of the movies I’ve seen this month, Dunkirk (just released July 21) is the one that left the biggest impression. Extremely well done from start to finish, every element, from the cast to the cinematography, musical score, and riveting timeline of the story worked together to create an immersive experience. This lesser-known event (to those of us on this “side of the pond”) was of key import to the UK and its allies as it struggled to evade the advancing Germans and evacuate France from the beach of Dunkirk. It’s a film to be taken seriously — both its subject matter and story of the prevailing good of humanity during an atrocious time of history. I highly recommend it! Carrying forward more Jane Austen fun (because you can never have too much Jane Austen), check out Hillary Manton Lodge’s Jane Austen Week interviews and recipes in honor of the bicentenary (200 year mark) of Jane’s passing. And, check out my #bookbestie Rissi’s review of Hillary’s novel, Jane of Austin, over at Finding Wonderland. More bookish fun! Title news for Joanne Bischof’s upcoming series, book 1 releasing in 2018. Fellow book blogger Kate over at Fiction Aficionado has published a fabulous series discussing a common book and story trope: the love triangle. 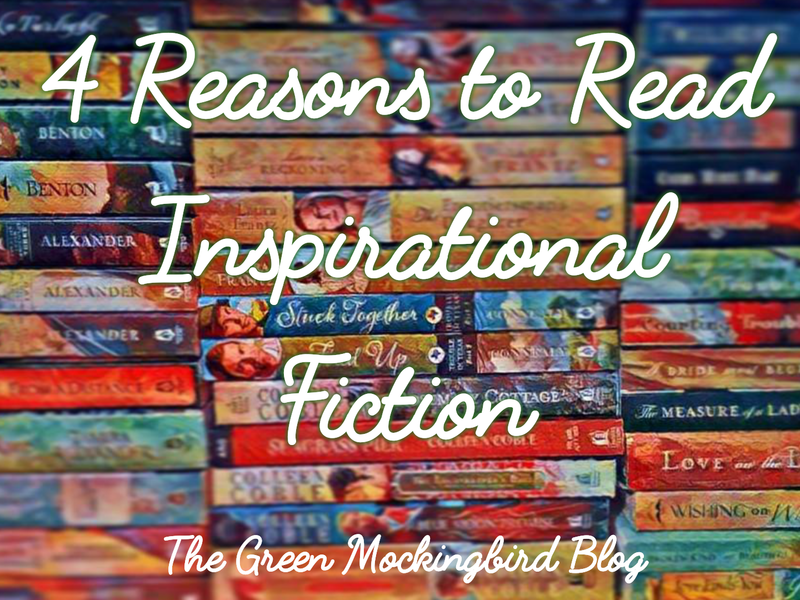 She introduces and gives specific examples of several kinds (from the Christian fiction genre), then further discusses the good and the bad of this trope in two more posts! Love Triangles: When do they get a thumbs up? Love Triangles: When do they get the thumbs down? Finally, this is an old article, but SO MUCH FUN! 10 of the Best European Train Trips, compiled by National Geographic. So, tell me: what was your month like?